Are you hyped to see the reigning rap queen Iggy Azalea?? The multi-million selling artist, model and songwriter is back with her “Survive The Summer” EP, and she’s about to take it on a massive tour around the US!! 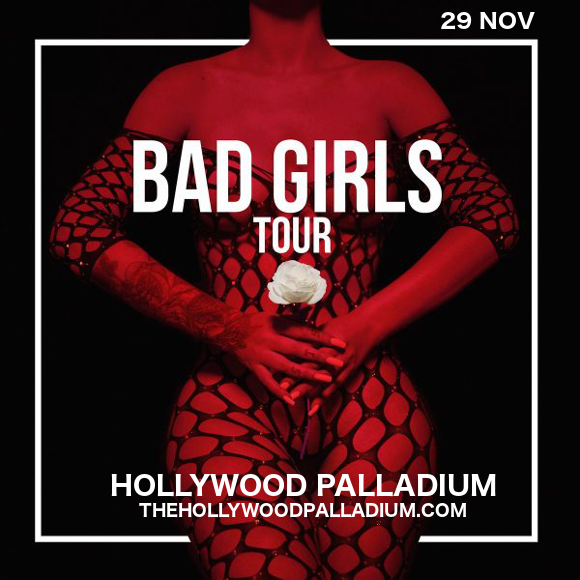 Coming to the Hollywood Palladium Thursday 29th November!! Tickets for this are going to fly off the shelves – hit that “Buy Tickets,” button and get yours NOW while you have the chance!! Born in Australia as Amethyst Amelia Kelly, she took the name Iggy Azalea from the name Egnatius, the name of her dog and the street she lived on, and moved to the US age 16 to pursue a career in hip-hop. After releasing videos for her songs "Pu$$y" and "Two Times” on YouTube, she caused a flurry of public attention. Her first full-length mixtape, “Ignorant Art,” caught the attention of T.I, who signed her to his label Grand Hustle Records. Her first album on the label, “The New Classic” hit the top 5 in countries around the world and established her as a force to be reckoned with on the rap scene. Since then, her soaring success in the industry has been second to none. What are you waiting for?? Grab your tickets NOW! !